Home Maths 3 ways to make maths amiable for your child !!! 3 ways to make maths amiable for your child !!! 1. Your attitude towards maths is going to be your child’s attitude: They watch you, follow you as they learn from you. Parents are the first teachers as we all know it. And as a parent, we want the child to be good at maths. Often with time, we witness children losing interest in maths and parents becoming more concerned with their performance in maths. Despite the constant nagging to study maths, children make excuses not to practice maths. So, what do we do in such a scenario? 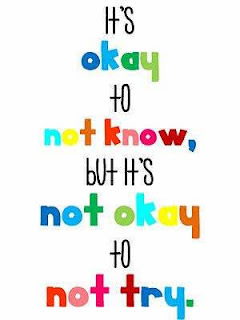 Do we start saying negative comments about the subject, about our own performance or the kid’s attitude towards maths? If yes, we need to watch out and pass on a healthy positive attitude for learning maths. Remember, they are following you. Kids’ attitude towards maths is just the reflection of our own attitude towards the subject. 2. 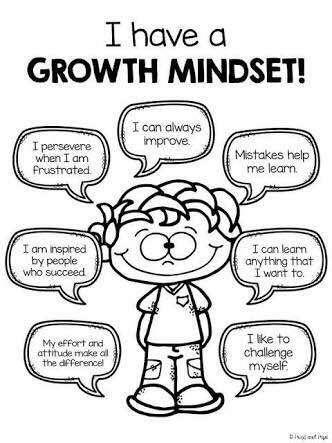 Are you nurturing growth mindset in your child? Parents want their children to progress in maths. More importantly, I highly recommend developing your child’s mind for making mistakes, accepting them, correcting them and learning from them, thereby making them ready for the real growth and success. While appreciating children ‘don’t tell them how perfect they are or how smart they are or how unique or special they are’ instead offer appreciation that encourages and focuses on the effort they put in solving a problem. Praise their hard work, persistence, determination to instill the growth values. This way children become courageous and stay up to take more challenges; be academic or later in life. A child with the growth mindset internalized the belief that talent & success is not just innate, it is earned through honest practice, hard work and determination. Success can be achieved and controlled. 3. Do not confuse your child with different mathematical methods: We learned maths in a particular way in our school. Nowadays many schools have adopted smart classes and teaching methods & techniques in a certain way which can be different from your studying/teaching manner. The important point to consider here is to follow one method of teaching, primarily the one being used in school. In the zest of teaching kids our way, we may confuse kids mind, whom to follow and what to do. If the child is not clear about the concept or make mistakes while practicing maths questions, I suggest simplifying the smallest of the steps involved, using the methods/pedagogy practiced in the school. You can stay connected with the school teacher of your kid and discuss the solution to improve the performance of your child. With the help of the teachers, you can help your child to give their best. Remember, your time investment into your child’s studies carries the power to alter their course of learning as well as their lives. In our next blog, we will share different ways to get engaged with your children to nurture their mind. Stay connected with us. Please share your feedback here below. Please click here to get free assessment papers for Class 3 – 10, Maths and Maths Olympiad. Previous article3 interesting ways to mathematically engage with your child!!! Next article7-Steps to score HIGH in Maths!!! 7-Steps to score HIGH in Maths!!! 3 interesting ways to mathematically engage with your child!! !